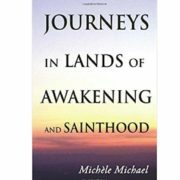 This website is a presentation of Edward Salim Michael’s books and spiritual teaching. Born in England, Edward Salim Michael (1921-2006) spent his youth in various Eastern countries and lived for a long time in India, his grandmother’s country. 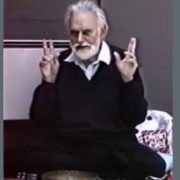 After several years of assiduous meditation practice, he had, at the age of thirty-three, an extremely powerful experience of awakening to what one might equally well call his Buddha Nature or the Infinite within himself. 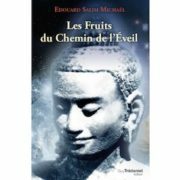 It was to Buddhism that he felt closest, but, as all his writings come from direct spiritual experiences, to illustrate his words, he does not hesitate to quote Hindu or Christian Scriptures. Words of the Buddha to his disciples (Udhâna, VIII). I met Salim Michael last May at the Shawinigan Symposium. It was a complete surprise for me to feel suddenly I was in the presence of a master. But what is a master you ask me ? The people I call “master” are, for me, those who have understood the mystery of human consciousness and who have overcome the narrow limitations of “personality;” personality simply being a series of historical events which give us a name, a history, etc., but which have nothing to do with our essential nature. Mystics often describe the state of enlightenment as … next. Ta-hui’s prayer which is recited daily in Zen monasteries.